Mission: The Association of Junior Leagues International, Inc. (AJLI) is an organization of women committed to promoting voluntarism, developing the potential of women and improving communities through the effective action and leadership of trained volunteers. Its purpose is exclusively educational and charitable. Vision: The Junior League: Women Around the World as Catalysts for Lasting Community Change. 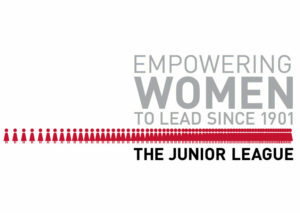 Our Commitment to Diversity and Inclusion: The Junior League welcomes all women who value our Mission. We are committed to inclusive environments of diverse individuals, organizations and communities. Association Purpose: The purpose of The Association of Junior League International, Inc. is to add value to its member Leagues in their fulfillment of The Junior League Mission. The Power of Association: Founded in 1901 by New Yorker and social activism pioneer, Mary Harriman, the Junior Leagues are charitable nonprofit organizations of women, developed as civic leaders, making a demonstrable impact on their communities. In 1921 the Leagues joined forces as an association, which is today known as The Association of Junior Leagues International, Inc., in order to bolster their power and amplify their voice through shared knowledge and common causes. True to their legacy, today’s League members work at the forefront of social reform, tackling the toughest and most critical issues of the day—including childhood nutrition and obesity, human trafficking, foster care, juvenile justice, teen self-esteem, cybercrimes, literacy and the environment, among others—for the purpose of enhancing the social, cultural and political fabric of civil society. 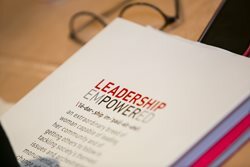 As a result of this work, The Junior League—and the more than 170,000 women in 294 communities in the United States, the United Kingdom, Canada and Mexico who comprise its ranks—has amassed an archive of irrefutable results and an indisputable reputation as thoughtful and influential change agents for the public good. Together, our members constitute one of the largest, most effective volunteer organizations in the world. Today AJLI is a charitable nonprofit organization that provides continuity and support, guidance, and leadership development opportunities to its member Leagues. Through regional, national and international meetings, comprehensive resources, customized consultations, and League and member benefits, it supports its member Leagues in the fulfillment of The Junior League’s Mission. AJLI is governed by a 20-member Board of Directors, which is accountable to the Leagues and comprised of women who are members of the Junior Leagues in their communities. The Association’s New York City-based staff, under the leadership of the Executive Director, provides services to Leagues that support the established goals. AJLI is a 501(c)(3) not-for-profit organization. All of its programs and activities are supported by League membership dues, foundation and corporate grants, and other revenue-producing efforts.